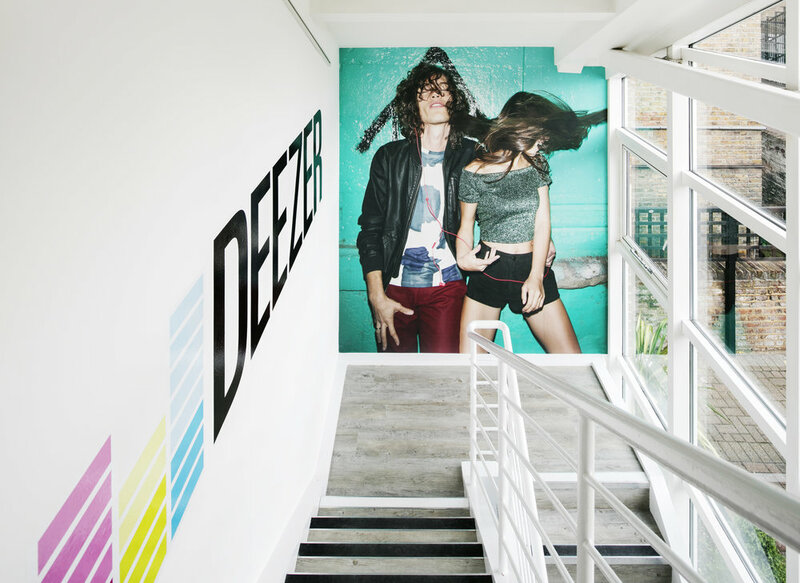 Online music streaming service Deezer looked to Fabric to create a unique space and vibe. Situated near Shepherd's Bush in West London, the site was a refurbished studio/office building situated around a central courtyard with an attractive band of glazing spanning the rear wall. 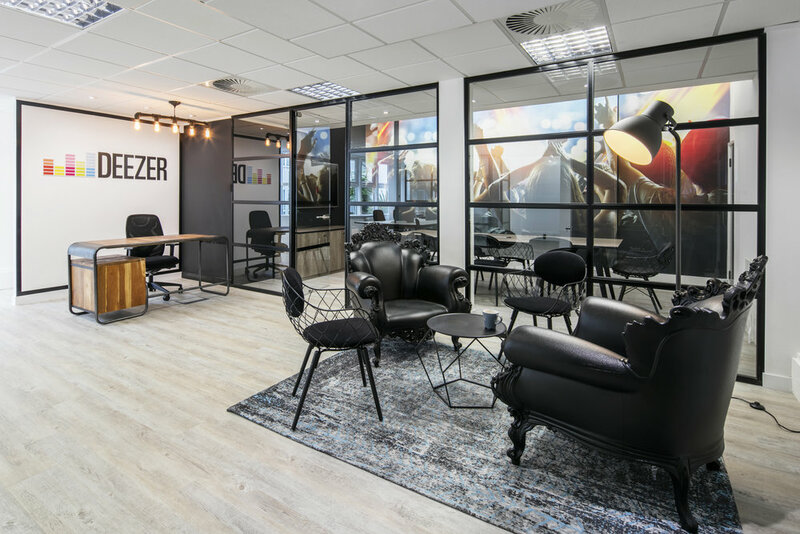 The main aim for this project was to create a modern, vibrant and exciting environment for current and new employees while reflecting the nature of the client's brand and company ethos. This was achieved using a variety of company brand colours, imagery and furniture selection. On the ground floor, both reception and boardroom were the main features. Fabric created meeting rooms that are completely blue & yellow and an airy open plan work-space. The upper level housed its own unique focal tea point, while also consisting of individual offices, meeting rooms and breakout area. 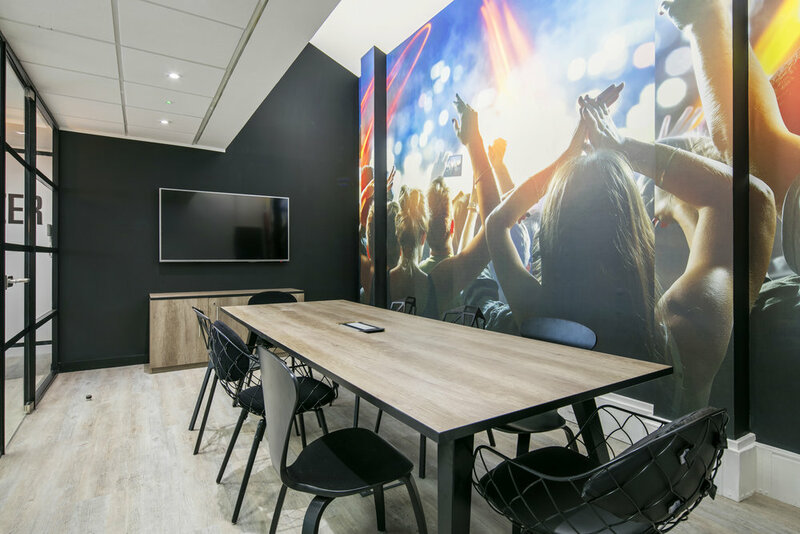 Overall the workspace is a contemporary multi-functional place with a real vibrancy and zest to reflect the companies core values and personality.